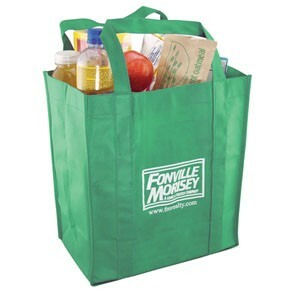 The non-woven grocery tote is an eco-friendly product people will use! 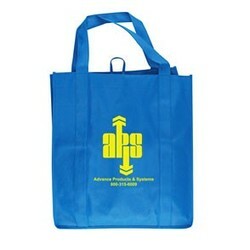 13" x 15" x 8"
10" x 4" imprint area. Eco-friendly non-woven Grocery Tote 13"W x 15" x 8" gusset with reinforced handles and includes a plastic bottom stiffener. This reusable environmentally friendly tote is great for carrying groceries back to your home. 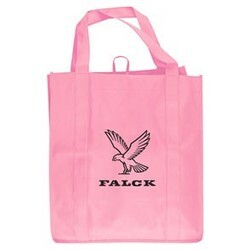 Perfect for eco friendly green company give a ways with your logo or message imprinted on the front of the bag. 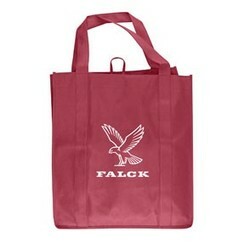 13"W X 15" X 8"
as shown above. Please call factory for pricing above end column. 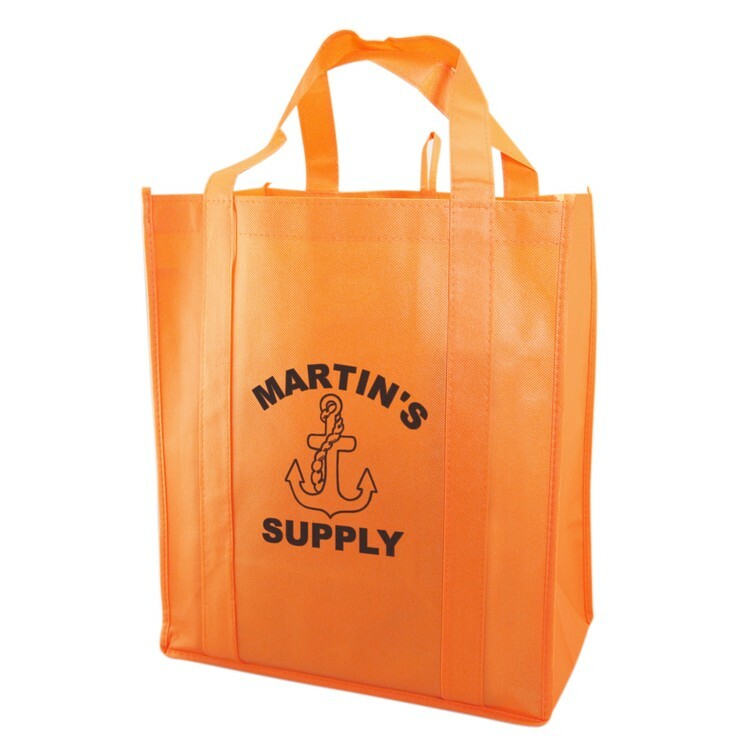 Product color can be ordered in increments of 50.